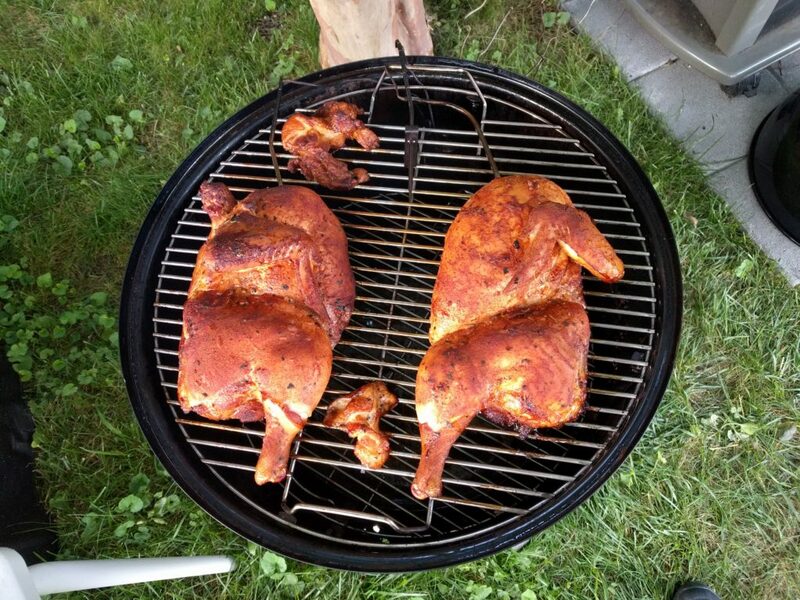 Do you know why a lot of people don’t BBQ that often? Because they always make the same thing and that’s boring. So I’ve been going through all the recipes in Meathead’s book (and other sources) to see if anything else is tasty to my palette. 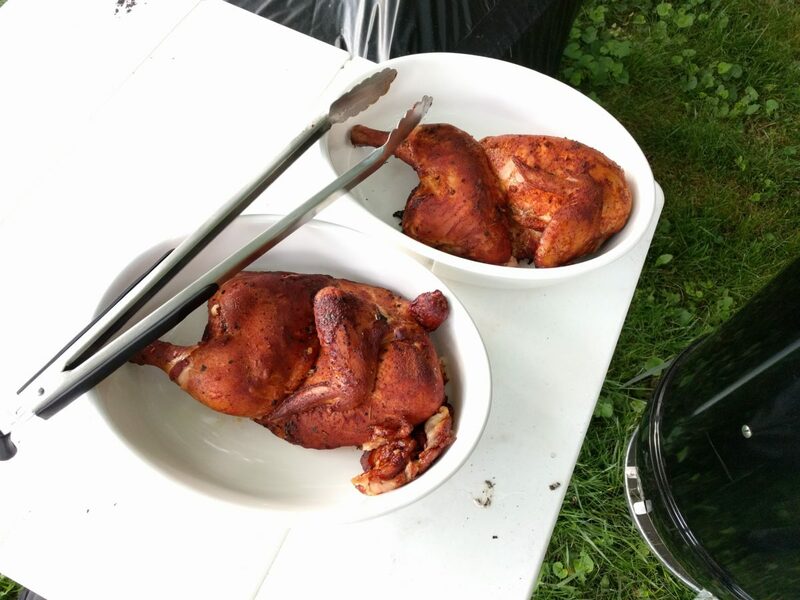 This time it was smoked chicken. 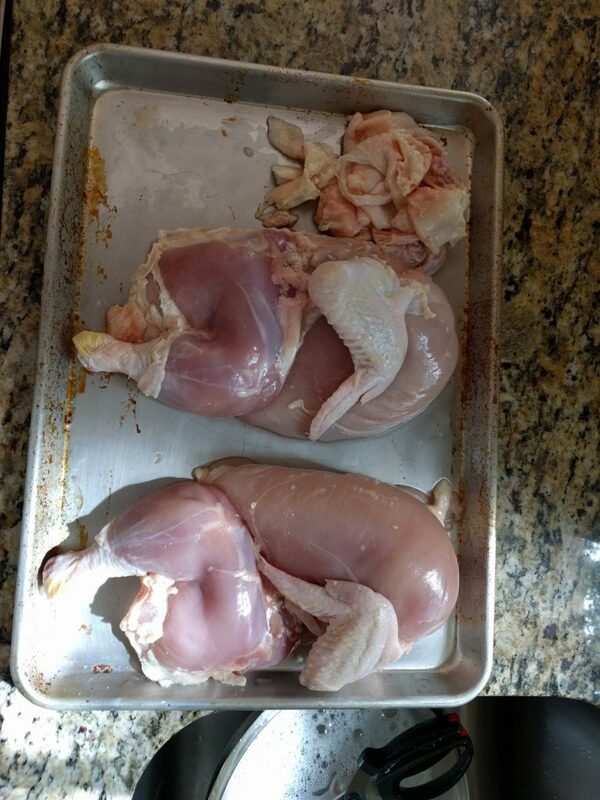 I cut the chicken in half. I took the skin off because Danielle was going to take off the skin anyway and since this was a rub-based recipe, that would remove all the flavor as well. This time instead of Simon and Garfunkel rub, it was Meathead’s Memphis dust. 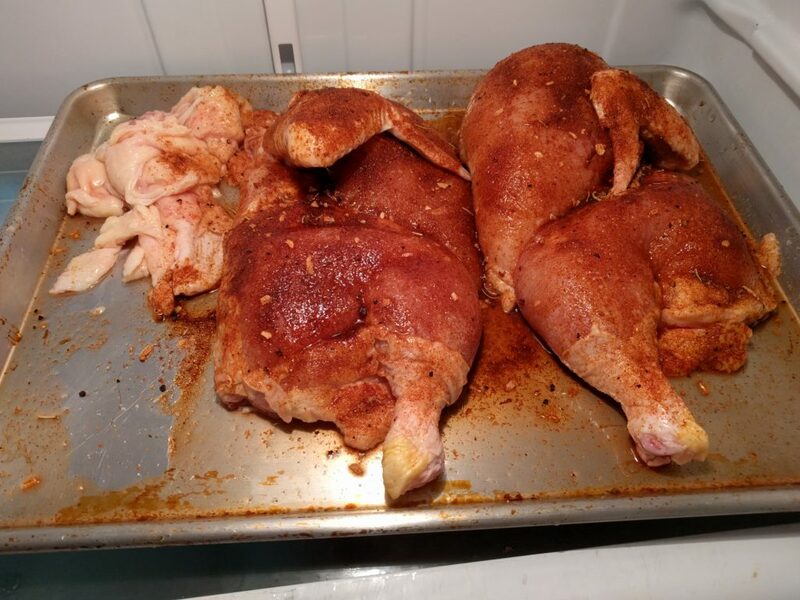 I threw it on the smoker with the skin on the side to crisp it up, but I didn’t realize I was supposed to stretch it out, so I just ended up throwing it out after the smoke. 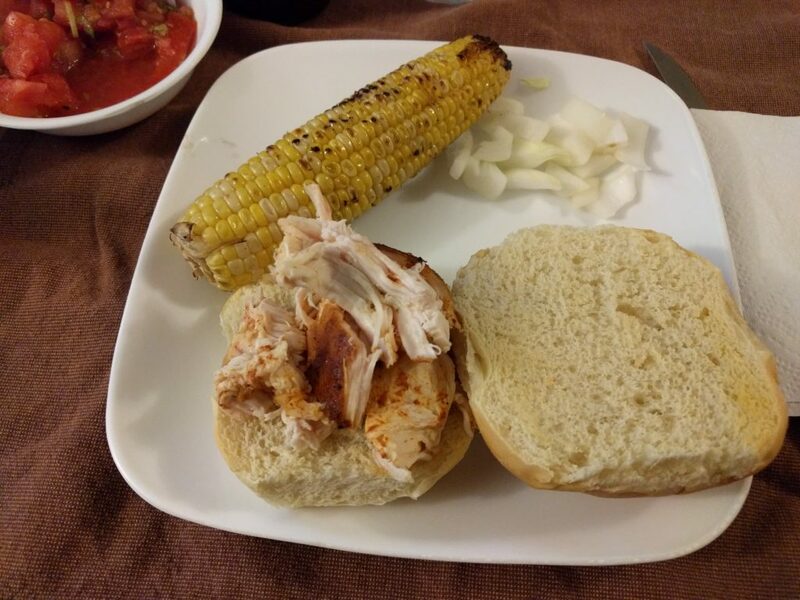 When it was done, I had a smoked chicken sandwhich. It was OK. Danielle definitely does not want this recipe again. She said it doesn’t break up the taste of the ribs and/or pork shoulder since it’s all the same rub. I do agree with her on that front. If I made this chicken, it wouldn’t be as part of a meal with Meathead’s Last Meal Ribs or a pork shoulder with his Memphis Dust.